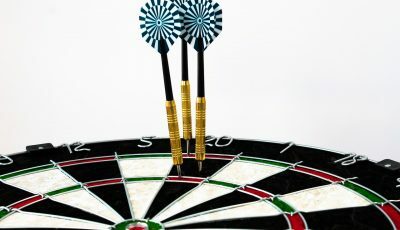 The game called darts dates back a long time ago and the majority of people have played it at least once which is why sometimes traditional darts can become quite boring. 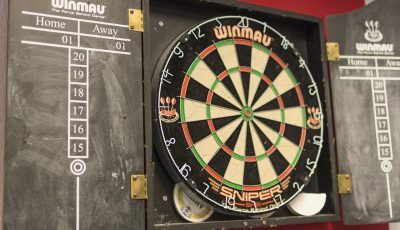 In order to spice the game up, people have created many variants of darts by combining darts with other fun games they like to play. For example, darts with bingo, and then they play bingo darts. 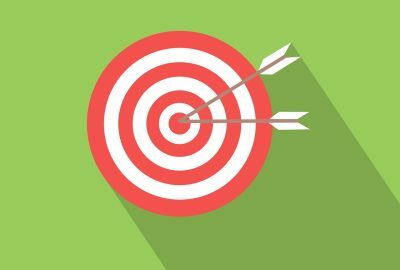 People who love playing darts and bingo games can enjoy their games both online and in person. If you decide to play bingo online there are many sites which offer good games and great conveniences in the manner of various bonus codes, for instance, William Hill Bingo Bonus Code, or other bonuses you can find online. In addition, you can find darts online as well. Play both of your favorite games with a bit of creativity and imagination. And in the meantime, we will present some fun games you can play with darts. Bingo darts is played by two players only. The players first draw a number from a Bingo machine, and the one with the higher number goes first. Then, the opponent draws another number from the machine which is the number of points the first player must score. 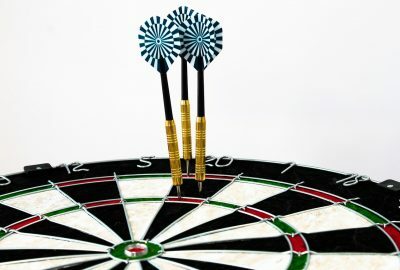 The players then score points in the same way as in regular darts until the first of the two reaches his or her score. American darts is a regional variant of the traditional darts game we know. Its dartboard differs from the regular dart board. The board is made of basswood. Its center can rotate so that the board can wear out evenly. 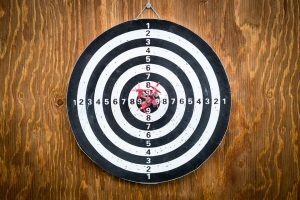 When it comes to scoring, the number sequence is the same as in traditional darts. However, there are no inner and outer bullseyes. The center bullseye is one section only, and it is colored red. There is a single scoring area which has no color. Round The Clock is a very easy game to play, but it still requires some practice. This game uses the whole board and there are no limits to the number of players. The aim of the game is to hit every number on the board in order and to finish before the other players. Cricket is a very popular game especially among the British. The number of players in a cricket game is usually 2,3 or 4. The aim of the game is to open or close the cricket numbers and score the highest numbers. There are two players who play the game called Scam, the stopper and the scorer. The first to shoot is the stopper who tries to hit all the numbers on the board in any order and only one time. 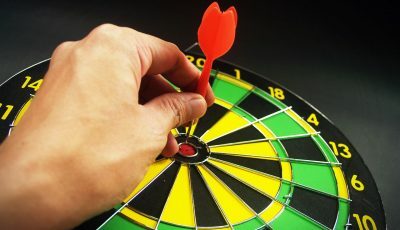 The aim of the game is to score as many points as possible, and if there is a tie, a shot at the bull’s eye determines the winner. The killer is a dart variant that involves two or even 6 players. 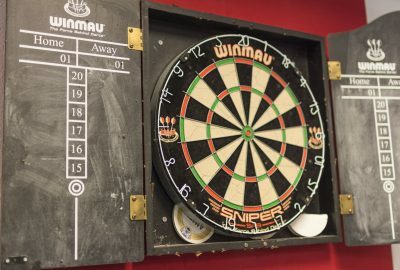 Darts are thrown at the board by the players’ non-dominant hands in other to get their number. The numbers must be different for each player. 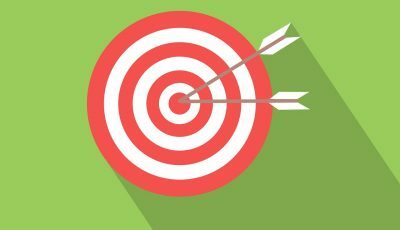 When the players get the number, their task is to shoot their number three times. The winner is the person who stays the last in the game.